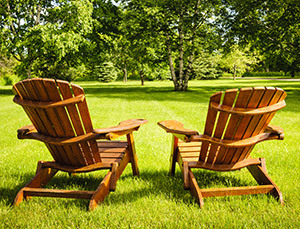 Sweet summer time – that time of year when all you want to do is be outside tending to your yard, relaxing on the patio, soaking up some rays, or any other number of backyard activities. 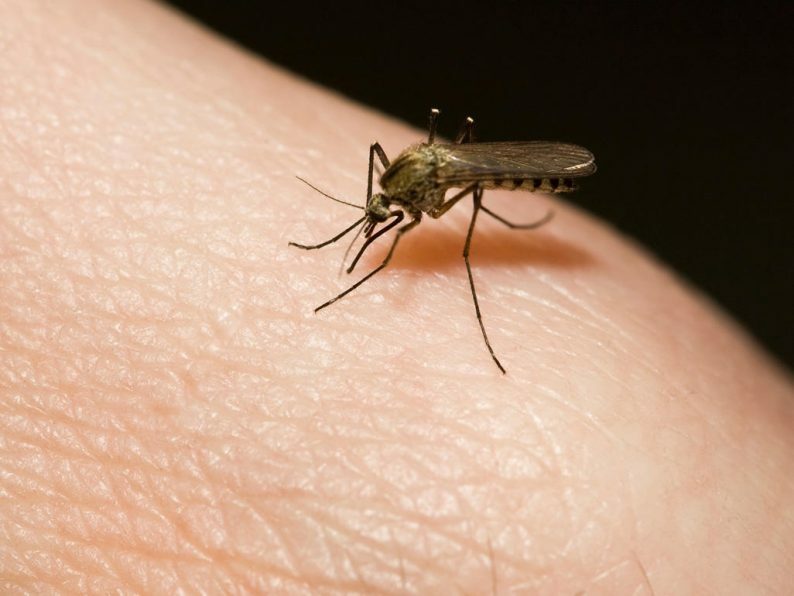 Few things can keep you from enjoying the warm temperatures and long summer nights, that is until the mosquitoes start to bite. While you could just head inside, if you are like most people, you would rather find a way to deter the nasty biters than give up your time outdoors. This is where you grab your trusted insect repellent. What is your go-to mosquito repellent? Is it a conventional repellent with time-tested ingredients like DEET or picaridin? Or do you use something more natural? While both have their place, this article gives you some insight into more natural mosquito repellants, their benefits, types to consider, and even how to make your own. 1 Why would I choose a conventional bug repellent? 2 What are the benefits of a natural repellent? 5 Are there disadvantages to natural repellents? 6 Are there other options for avoiding mosquitoes? Why would I choose a conventional bug repellent? No matter where you call home if it’s a place that has warm temperatures in the summer and even a slight bit of humidity you have been able to experience the not so welcome feeling of a mosquito bite. You swat them away only to be left with the tell-tale round, itchy welt and a nagging feeling that it is possible that little insect could be carrying a potentially harmful disease. Before you decide to go the natural route with your mosquito repellent you may want to consider a few factors regarding the risk associated with mosquito bites. If you live in an area that is heavily infested with mosquitoes, stronger repellents that contain DEET or picaridin are going to offer the best protection. Also ask yourself how long you plan to be outside. Conventional repellents typically last longer than their natural counterparts. So unless you can reapply frequently consider choosing a stronger option. It is also important to know how high the risk is in your area of acquiring a harmful disease that is carried by mosquitoes, ticks, or other biting insects. The long term effects or possible fatalities associated with diseases such as Zika, West Nile, or Lyme disease are far more troublesome than applying a little bit of chemical repellent to your skin. What are the benefits of a natural repellent? As mentioned before, many of the most effective bug repellents contain high concentrations of DEET, usually around 23.8%. DEET or diethyl-meta-toluamide is a chemical and according to many studies, a pretty nasty one. 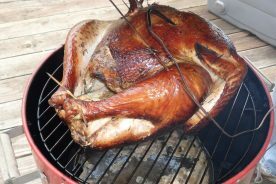 About 15% of it is absorbed through your skin and makes its way directly to the bloodstream. It has been observed to cause everything from reproductive disturbances to central nervous system disorders. A study done at Duke University showed that DEET “damages brain cells, can cause behavioral changes, and can have harmful interactions with some medications.” It is also not recommended for use on children or pregnant women. So, this leads us to the most obvious benefit to choosing a natural mosquito repellent – to avoid the use of harmful chemicals on your body. Not only will natural repellents reduce health risks but they also smell better and are safer for the environment. Many of the recommended alternatives are 100% natural and plant-based. Their oils can also serve a dual purpose such as helping with dry skin or providing your body with antioxidants. While these products do contain natural active ingredients and are free of DEET, they tend to vary in their effectiveness and also contain other ingredients that contribute to preservation and application. The second form is natural, or essential, oils derived directly from plants. These oils typically come in their most pure form and may actually need to be diluted in a carrier oil, water, or lotion before being applied directly to the skin. Sometimes just the smell of these oils is a mosquito deterrent and they can be applied to surrounding surfaces as well. This is one of the most common natural oils used to repel insects. It can give almost as much protection as low concentrations of DEET for up to 3 hours. OLE should not be used in its purest form but should be diluted in witch hazel or sunflower oil before application. This oil has been approved by the CDC but is not recommended for use on children under three. Taken from a plant related to mint called nepeta cataria, catnip oil is actually extracted from the leaves instead of the flowers. As a mosquito repellent, one study from Iowa State University found that it can be 10 times more effective than DEET and can last up to 7 hours. Citronella is probably the most common natural repellent, found in many candles and other sprays. However, to be as effective as DEET, citronella should be used in its pure essential oil form. Other forms evaporate in as little as 20 minutes and are only 50% as effective. 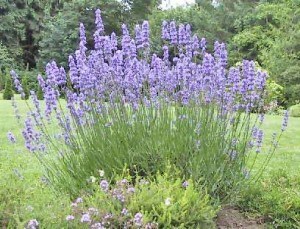 You can easily grow lavender in your own garden, and outdoors the smell alone could deter insects. To be more effective you can crush lavender flowers and apply the oil directly to the skin. As an added bonus lavender also has anti-fungal and antiseptic properties, so it can be calming at the same time. From a plant in India, neem oil is considered a natural insecticidal compound. In some studies, it has been found to be more effective than DEET, but since it is a fairly new alternative its effectiveness is still under question. It should not be applied directly to skin as it can cause irritation, but should first be diluted in water, oil, or lotion. It can last for up to 3 hours. Found in many manufactured natural repellents, soy oil has been found to be just as effective as DEET and is also longer lasting than some other natural oils. It is safe to use on children and deters several species of mosquitoes. It can also act as a natural skin moisturizer. This one is simple, just eat a few cloves of garlic before going outdoors. Mosquitoes can’t stand the smell. Garlic pills or garlic oil are not as potent and are found to not be as effective. Before using any of the above essential oils it is a good idea to do some research and know what you are using. Most of the oils should not be taken orally or will need to be diluted before being applied topically. They can do more harm than good if used in high concentrations. There is a wealth of information available about how to dilute these oils, what to use as a carrier, and what ratios to mix. There are tons of options out there for making homemade natural mosquito repellents. Most of them include some combination of essential oils, which are gaining popularity and becoming easy to find, even in mainstream stores. For some ingredients, such as witch hazel, you may have to visit a health food store or order something online. Whatever recipe you choose to follow, most of the DIY repellents are simple, quick, and only have a few ingredients. When you make your own natural mosquito repellent the options for scent and potency are endless. There are numerous oils that have repelling effects and while some are stronger and more effective than others, the choice is yours to make it using a scent that your family can tolerate and maybe even enjoy. Some of the other common, and aromatic oils, that are often used in natural insect sprays include vanilla, rosemary, cedar, tea tree, and mint. Are there disadvantages to natural repellents? 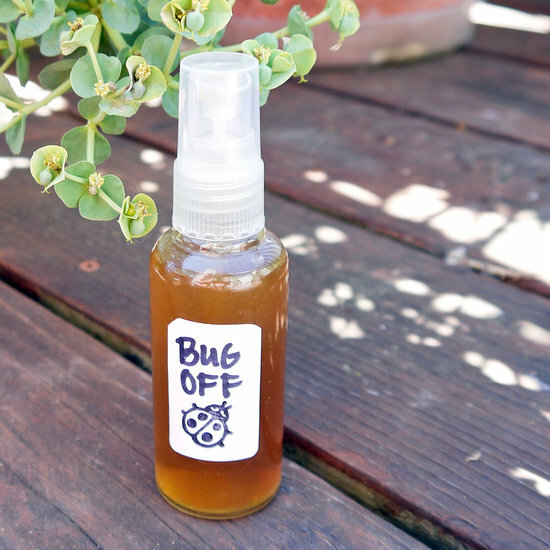 While the disadvantages to using an all-natural substance are not as extreme as the health risks associated with chemical bug repellents, there are some down sides to these alternatives. Are there other options for avoiding mosquitoes? While repellents, whether conventional or natural, are the most effective way to keep mosquitoes and insects at bay, there are other options if you have sensitive skin or don’t have quick access to something before going outside. First, you can simply cover up. This may not seem like an appealing option when it is 85 degrees and humid, but it is definitely the most preventative measure against insect bites. Wear long sleeves, long pants, socks, and shoes that cover your whole foot. If you are prone to mosquito bites no matter what you do it is a good idea to just stay inside, especially during sunrise and sunset. 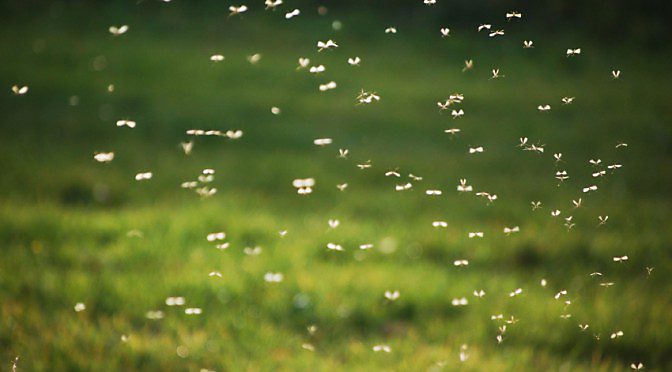 These are a mosquitoes most active times and when you’ll find most of them are out and looking for a snack. Finally, remove any standing water around your home. Standing water such as buckets, puddles, bird baths and even swimming pools serve as a breeding ground for mosquitoes. By eliminating these sources or keeping the water in them treated you can drastically reduce your mosquito population. How effective are natural mosquito repellents? The effectiveness of natural mosquito repellents can vary greatly depending on the oil that is used in making the repellent. Some of the oils have been studied and been approved by the CDC as being as effective as DEET, while others are still under much scrutiny as an effective alternative. When you decide which oil to use there is a lot of information you can find to determine its effectiveness. Of the oils mentioned in the above article the most effective are the three below. Their effectiveness is compared to traditional repellents that use DEET and based on their ability to keep mosquitos away and for how long. Where can I buy natural mosquito repellent? There are several commercial brands of natural mosquito repellent available to purchase. Many of them are manufactured by companies that produce traditional mosquito repellents. They can be purchased at most grocery stores, drug stores, or popular retail locations such as Walmart or Target. Amazon is another common place to purchase these commercial sprays. 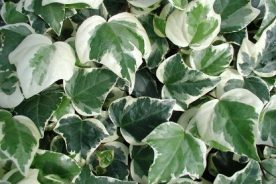 What plants are a natural mosquito repellent? 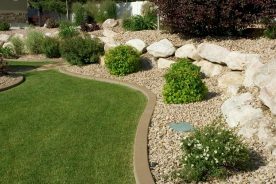 The following plants can be planted around the perimeter of your yard or near the patio to act as a natural mosquito repellent without having to apply something to your skin. Several of them also have flowers that can be crushed or rubbed on your skin to keep mosquitoes at bay. Can I make a natural mosquito repellent cream? It is actually quite simple to create your own mosquito repellent cream. You can use any combination of the mentioned oils that repel mosquitos – lavender, citronella, neem, lemon eucalyptus, thyme, mint, etc. Instead of mixing the oils in water, vegetable oil, and witch hazel to make a spray form, you can mix the oils with coconut oil or lotion to make a cream that can be applied all over the body. What is the best natural mosquito repellent? As far as essential oil mosquito repellents, the “best” can be very subjective based on individual experiences. Some of the oils mentioned, and many others, actually react to people’s bodies in different ways so what is effective for some may not be as effective for others. However, several studies by Consumer Reports and noted universities on natural mosquito repellents have shown that products that contain lemon eucalyptus are the best at keeping the most mosquitos away for the longest time. The natural commercial repellent that got the best ratings was Repel Lemon Eucalyptus.